Linda Gray - DALLAS TV show star - on her favorite Dallas holiday traditions. Consider this a holiday bucket list for the ultimate Sue Ellen Ewing fan. 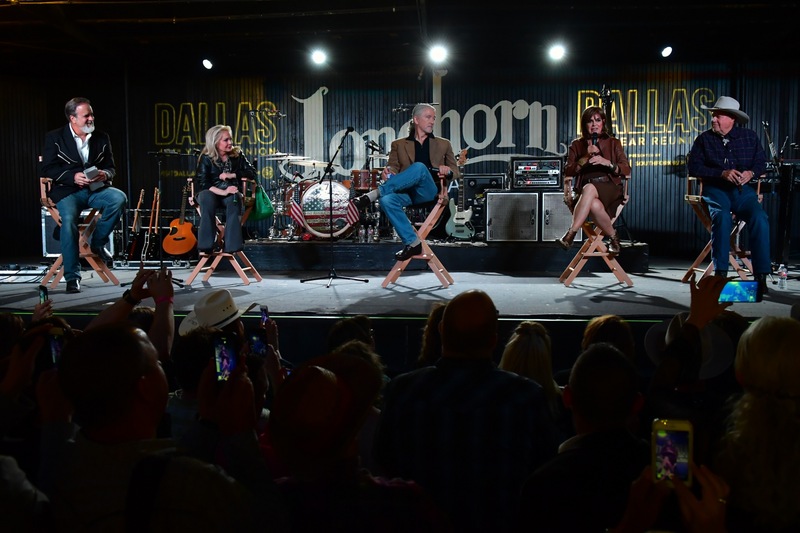 The "Dallas" star – and recently appointed Dallas ambassador – shares how she spends the holiday season in the Big D.
Linda Gray and the cast of DALLAS at The Longhorn Ballroom during the 40th anniversary activities earlier this year. Any trip to Dallas is worthy of a stop at the flagship Neiman Marcus, but even more so during the holiday season. And it's so easy to make a day out of it when you pair it with lunch at The Zodiac to get a taste of its holiday buffet. The Bishop Arts District is fabulous for small-business shopping, and you can get some fun, unique gifts for anyone in the family while you're there. I love walking through the neighborhoods and checking out each of the shops. There's so much to do! A few years ago, while I was living in Dallas during the reboot, my children and grandchildren came to visit. We went straight from the airport to Eatzi's for an early, casual dinner. Then we headed into Highland Park Village and enjoyed walking around among the lights. It's lit up so beautifully for the holidays and gives it a fantastic, festive feel. We ended the night with a carriage ride through the Park Cities neighborhoods, enjoying the beautiful homes and wonderful holiday decorations. I love being outdoors, so the holiday activities at the Dallas Arboretum & Botanical Garden have been a go-to for me. I love going there any time of the year, but it's really special during the holiday season. Also, after living in the Arts District during the reboot, I got to know the neighborhood really well, so spending time in Klyde Warren Park enjoying the holiday lights is another favorite. I love a French-inspired meal and Mercat Bistro in Harwood always lives up to my foodie expectations. I recently went to Overeasy at the The Statler Hotel and it was amazing. The breakfast menu has some healthy options that I love! If you need some holiday magic with your meal, you can't go wrong with Savor at Klyde Warren Park. The views of the park – decked out in holiday décor – make it feel so cheerful.